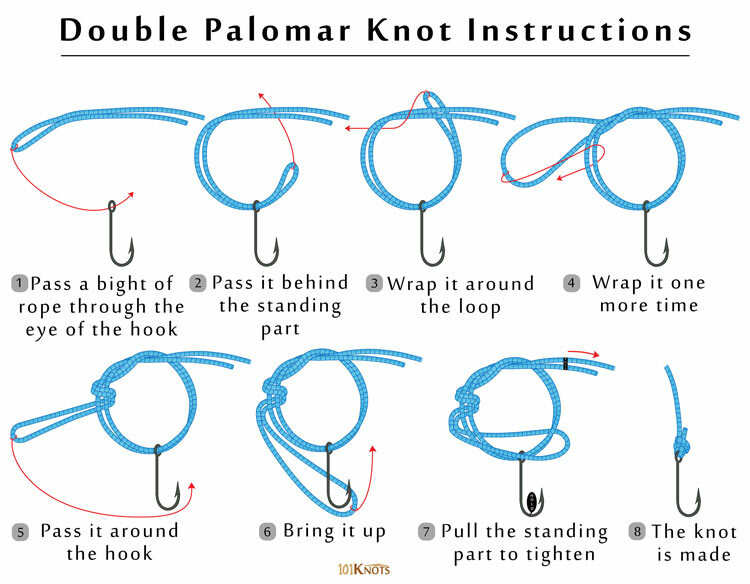 The double Palomar is quick and easy to tie, like the Palomar but it is more reliable. It has 15% greater strength than the Palomar knot and best suits the Berkley NanoFil lines. Hence, it is also known as the NanoFil knot. It is touted as one of the best knots for braids. Leave a little longer tag end to prevent the knot from slipping. Note that the second wrap around the loop as shown in step 4 of the illustration above is its only point of difference with the Palomar. Note that a double overhand knot is formed by the steps 3 and 4. 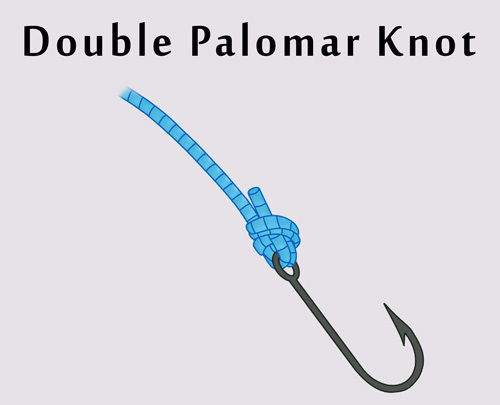 Improved double Palomar knot – Consisting of a double line passed through the hook eye twice, followed by a double overhand knot, this is a stronger version.